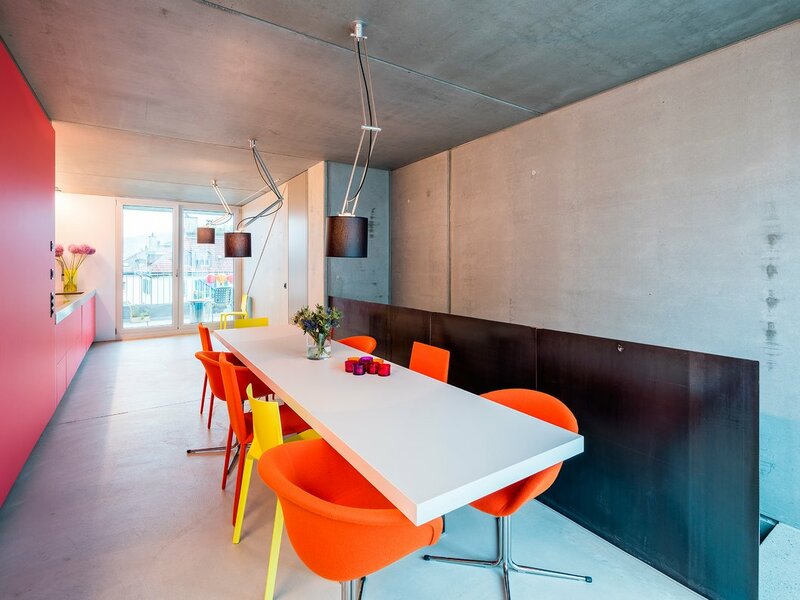 The «ELLI» project is a prototype for individual inner-city redensification. 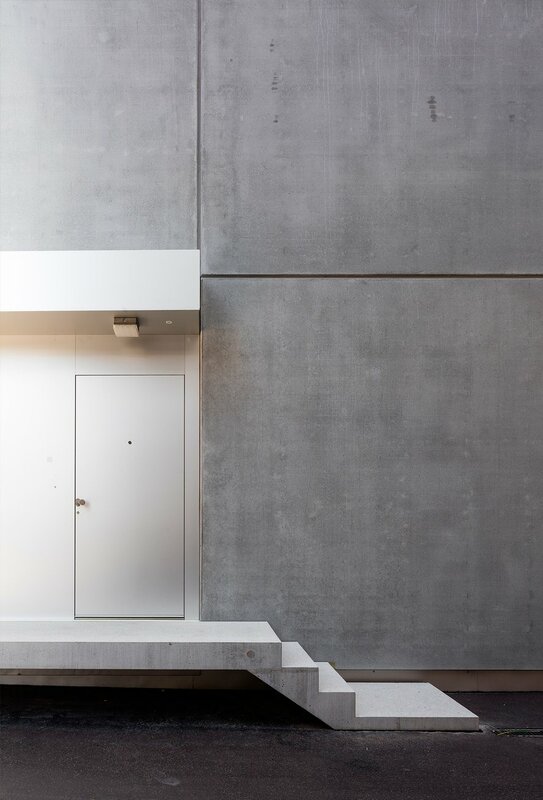 In a commercially used courtyard area, a five-storey residential building was conceived with a minimal footprint and a double underground floor with a spacious studio. 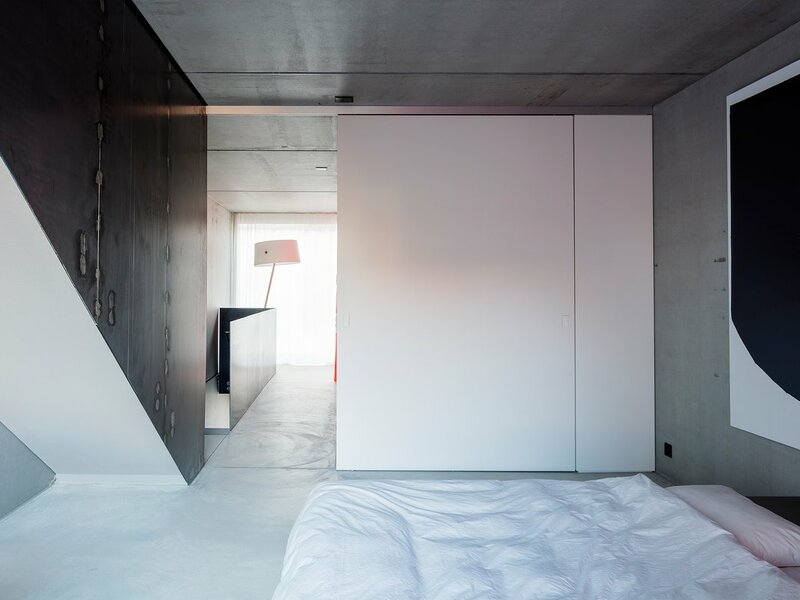 With a footprint of only 5 by 10 meters, the new building has highly compact living space. At the same time as the construction of the residential building, a studio was installed. For this purpose, the full courtyard was given an underground level and an extensive column-free space with large skylights was created. 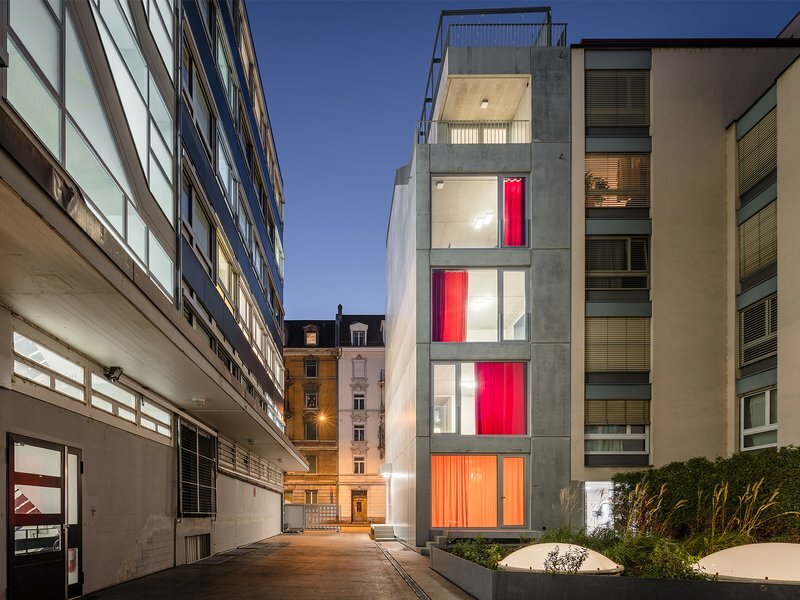 The objective was to optimally utilise the courtyard of a pre-existing office and commercial building in Zurich’s District 4 while practising cost-efficient construction as a means to make the newly built space affordable to rent. The tall, slim new structure inconspicuously nestles up to the adjoining residential building. 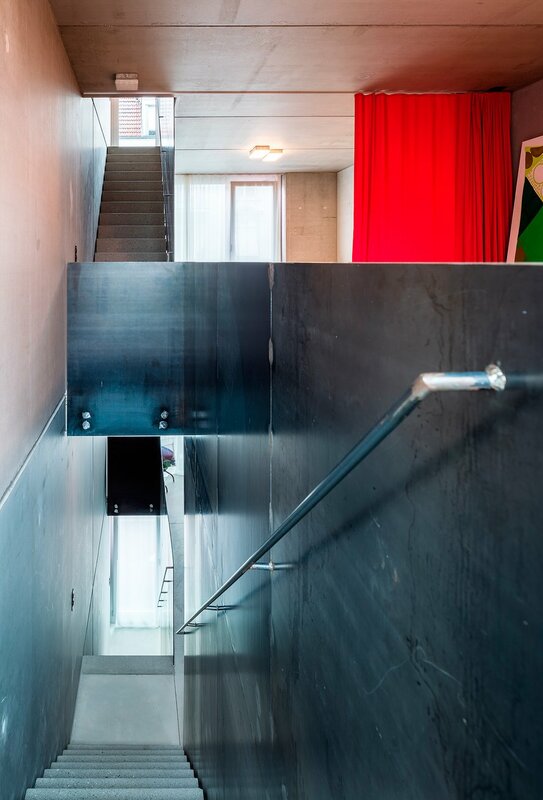 Concrete elements, prefabricated using optimised production techniques, form the envelope of the new single-family house and characterise its architectural expression, both inside and out. 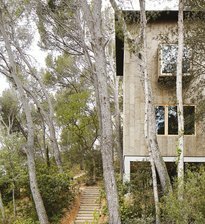 Thus, the building is a kind of «building shell» that can be lived in without any compromises in terms of comfort or appearance. A «rough» aesthetic predominates, inside and out. 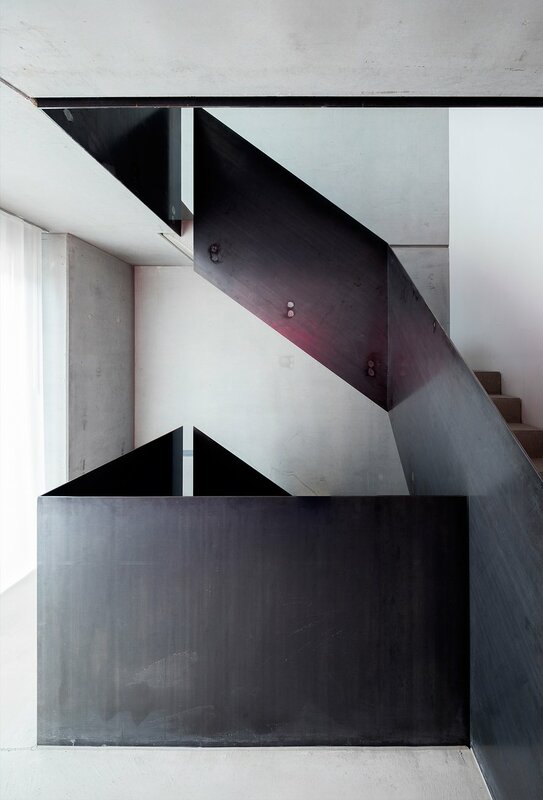 The façade is shaped by the pattern of joints between the industrially manufactured concrete elements. 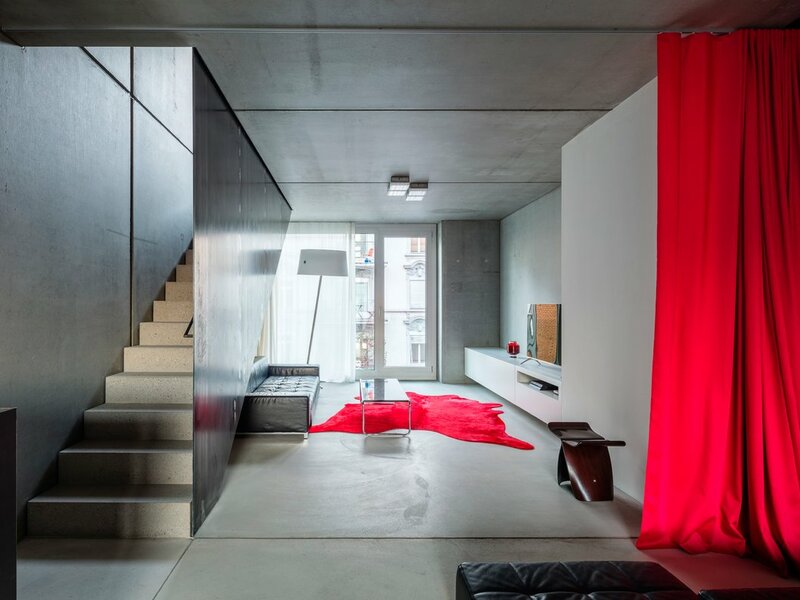 Inside, a palette of various red hues brings out features that contrast with the grey colour of the «béton brut». 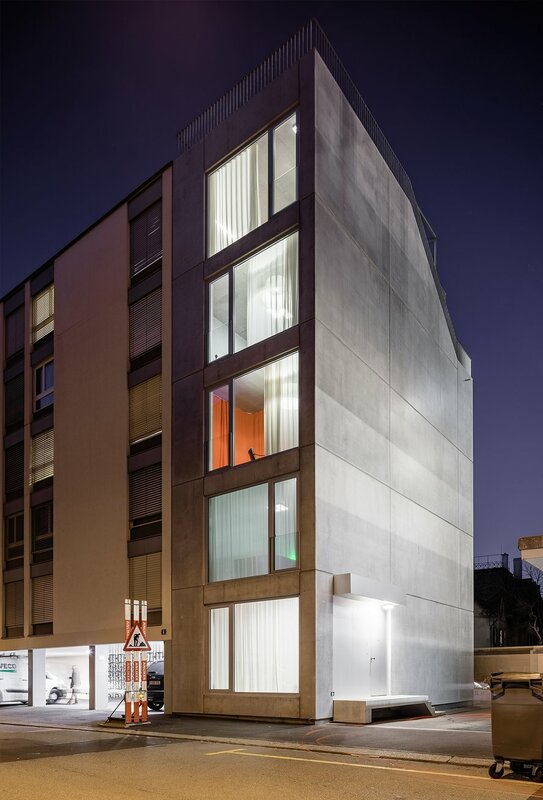 The jury was impressed not only by the strictly configured volume at the end of an urban block but also by the self-confident composition of the façade. In addition, an intelligent internal circulation system creates differentiated room sequences offering maximum quality in a confined space. A successful example of personal individuality despite the very public context. 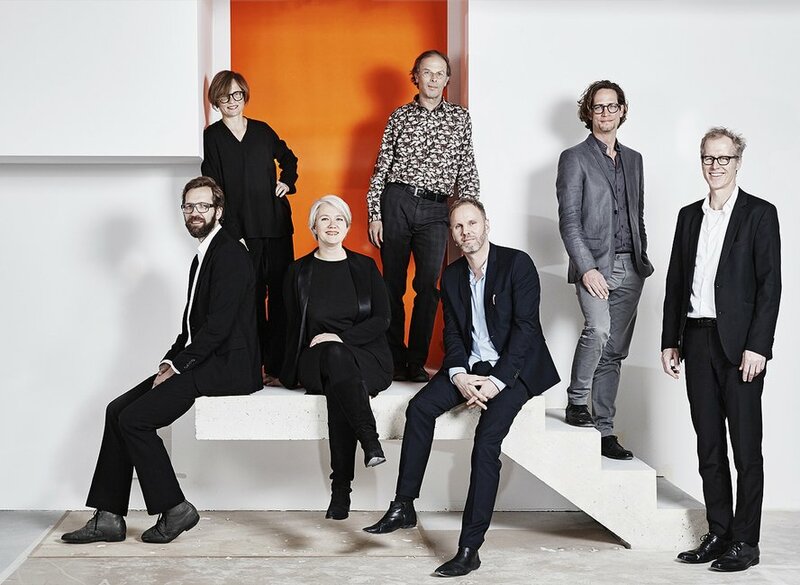 Holzer Kobler Architekturen was founded in 2004 by Prof. Barbara Holzer and Prof. Tristan Kobler in Zurich. 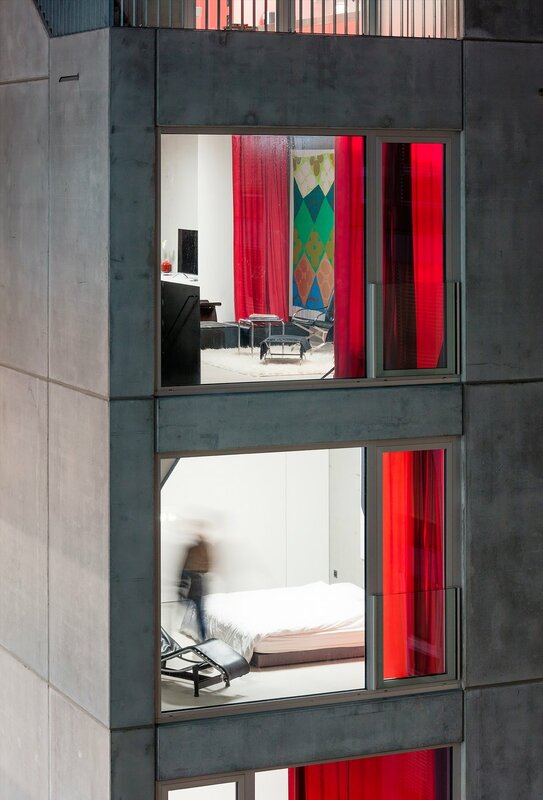 The internationally operating studio with locations in Zurich and Berlin combines a broad spectrum of competencies: from urban planning and architecture to scenography and design. The term of architectures is to be understood as an opening and expansion of the spaces of thought and fields of activity of architecture. The studio concerns itself with questions of artistic integrity, cultural values, social added value and sustainable development within the ever-changing demands on living and working spaces. In the works, programmatic innovation, aesthetic identity and the characteristics of the context are the focus of the exploration of architecture and space. 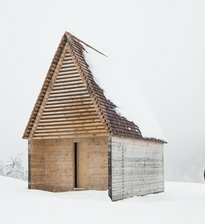 Uniqueness is the identifying feature of any project, rather than a recognizable design language. Out of this attitude emerges a creative richness that is reflected in the multitude of unique pieces.